The following preview for the next episode of Smallville includes the Legion of Superheroes. The eighth season continues on January 15. TheCinemaSource.Com has posted an interview with Sean Penn about his title role in Milk. Penn discusses how he approached the part of murdered civil rights leader Harvey Milk, and how life might be different for gays if Milk had survived. New pictures from X-Men Origins: Wolverine appear at ComingSoon.Net, and a picture of Taylor Kitsch as the character Gambit appears at TheCinemaSource.Com. The movie’s trailer will debut with prints of The Day the Earth Stood Still, 12/12/08. As I mentioned before, SciFi Wire has revealed the almost kiss between Battlestar Galactica’s male characters Gaeta and Hoshi. The word "almost" counters past rumors, but I wonder if SciFi Channel intentionally leaked those kissing rumors, for increased publicity. If so, it certainly worked, and the article I just linked to still leaves the possibility open. Regardless, making a recurring character gay is a big step for the hit franchise, and it looks like that trend will continue in the spinoff series Caprica. (Updated later...it is an actual kiss). SciFi Wire has revealed the almost kiss between Battlestar Galactica’s male characters Gaeta and Hoshi. If you buy The Acorn Stories (or anything else) from bn.com before December 10, 2008, use the Coupon Code R9U3J8C to save 15% on one item. Details. Visit doorQ for VIEWS FROM THE ACORN UNIVERSE, 9/29/08. This week, Queer Wolf, Thor, Kelley Eskridge, Steve Berman, Thomas M. Disch, and Part 6 of Fat Diary. Fat Diary uses a librarian’s diary to introduce readers to a scifi geek, a closeted mayor, and many other interesting characters, in the West Texas town of Acorn. Visit doorQ for VIEWS FROM THE ACORN UNIVERSE, 9/26/08. This week, Sanctuary, Knight Rider, and Doctor Who. Last week, in Part 4 of the comedy Fat Diary, some little old ladies learned a little too much about the mayor’s secret gay life. Fat Diary uses a librarian’s diary to introduce readers to a scifi geek, a closeted mayor, and many other interesting characters, in the West Texas town of Acorn. Visit doorQ for VIEWS FROM THE ACORN UNIVERSE, 9/17/08. This week, movies and more gay scifi/fantasy reviews. Also, in Part 4 of the comedy Fat Diary, some little old ladies learn a little too much about the mayor’s secret gay life. Rainbow Reviews has posted a review of my gay-themed novel Degranon: A Science Fiction Adventure. Read the review. Visit doorQ for VIEWS FROM THE ACORN UNIVERSE, 9/8/08. This week, Supergay, Twilight, J. V. Jones, Click, and Parts 2 and 3 of Fat Diary. Visit doorQ for VIEWS FROM THE ACORN UNIVERSE, 9/3/08. This week, vampires, a fantasy artist, fighting cancer, and Part 1 of Fat Diary. MovieWeb has posted Comic-Con 2008 footage of Smallville cast members Allison Mack (Chloe Sullivan) and Justin Hartley (Oliver Queen/Green Arrow) and the new villains Sam Witwer (Davis Bloome/Doomsday) and Cassidy Freeman (Tess), talking about the new season. MovieWeb had recently posted other Smallville news from Comic-Con: The Legion of Super-Heroes is Coming to Smallville. Also on the Man of Steel front, Variety has posted a Superman Status Update, regarding the long-rumored movie. I barely saw The Dark Knight in time before reading some major spoilers. Everyone assumes everyone else has seen it. Despite all the hype about the late Heath Ledger’s role as the Joker, I wasn’t at all surprised by his excellent performance. I’ve enjoyed Ledger’s work since seeing him on the short-lived fantasy series Roar. However, I thought the entire cast of TDK fit the roles perfectly, and I look forward to seeing Christian Bale in his next genre film, Terminator Salvation. This week, Books, Jake, Star Trek: The Experience. The Kindle edition of The Acorn Stories, winner of a Pride in the Arts Award, is currently charting as follows. Those charts update constantly. The rest of the gay fiction top five is dominated by queer-themed scifi, fantasy, or horror. #2 Second Thoughts: More Queer and Weird Stories by Steve Berman, an author whose works I’ve praised before. #3 Without Reservations, J. L. Langley’s queer werewolf epic. #4 IM, Rick R. Reed’s cleverly promoted tale of stolen identity. Reed, a doorQ-er, is passing himself up, with his thriller Deadly Vision at #8. #5 is a magic-tinged book from Mark Abramson, with a title that might say it all: Beach Reading. SciFi Wire lists the Hugo Awards. SciFi Wire also talks to fantasy author Patricia Briggs about her werewolf POV novel, Cry Wolf. For beach viewing, try Jake Gyllenhaal is the Shirtless Prince of Persia. I finally caught Star Trek: The Experience! See it before it ends! It’s geeky fun! This week, In The Closet, Battlestar Galactica, Stargate, and Doctor Who. ThisWeekInTexas.Com has posted my review of In The Closet, as well as an updated version of my review of A Four Letter Word. In The Closet is a production of the gay scifi/fantasy/horror site doorQ. The SciFi Channel has announced plans for another Battlestar Galactica prequel. Edward James Olmos will direct the feature, which takes place just before the mini-series and series, but will air after the series finale in 2009. SciFi had previously announced the prequel pilot Caprica, which takes place much further in the past. The new direct-to-DVD movie Stargate Continuum is an exciting romp, filled with nostalgia. It also contains hints about a new villain, suggesting more installments in the movie series. If the sequel prequel sequel The Scorpion King 2: Rise of a Warrior can happen, you just never know. The site io9 has posted an Exclusive Interview with Doctor Who’s Steven Moffat. The new show-runner discusses his plans for the series, which won’t return until 2010, except for some specials. Arizona Sky. Distributed by Guardian Pictures. Review by Duane Simolke for ThisWeekInTexas.Com. Jeff London, the writer/director of And Then Came Summer and Regarding Billy, returns with another warm hug of a movie. Like all of London’s films, Arizona Sky relies on dialogue and character development to tell its story. The lack of a large budget never deters London, who keeps sharing quiet but heartfelt tales about gay lives. This new film often feels like a videotaped play, and could easily translate to the stage. The story starts with an awkward conversation, as teenaged Kyle (Kyle Buckland) and Jake (Blaise Embry) get ready to leave for a camp-out. After they arrive at the camping spot, we soon learn that their innuendoes and uncomfortable glances reflect just what they suggest: that these two best friends are more than just friends. Neither can accept what that means; instead of exploring their feelings, they discuss how their lives will change after one of them makes an impending relocation. A decade and a half later, Jake (now played by Eric Dean) is unhappy in his life as a Hollywood filmmaker. His new best friend encourages him to figure out what’s missing in his life. Jake knows it involves his home town, and the friend he left behind. They had gone all those years without contact. The adult Kyle (Jayme McCabe) also has a new best friend. In both cases, “best friend” no longer serves as a shield or euphemism for something more, but those fulfilling friendships provide a counterpoint for the untapped potential of Jake and Kyle’s possible love. Kyle and Jake slowly explore how they really feel about each other and themselves, providing the conflicts and romance for the remainder of the story. London interjects other characters from Kyle’s life as well. They reveal a man who obviously qualifies as marriage material. Still, Kyle hurts those loved ones in a way, by not giving them credit for their ability to unconditionally love and understand him. I don’t want to make Arizona Sky sound like an issue-driven movie, though. It mostly offers viewers an old-fashioned romance that simply happens to involve two men. Patricia Place, Brent King, Bernadette Murray, and Emerson Smith also star in Arizona Sky. Cinematographer Matthew Skala captures the beautiful but sometimes harsh-looking setting of Lake Havasu, Arizona. Mark Krench, the composer for London’s film Regarding Billy, provides a soundtrack with a touch of romance and Western charm. Gay SciFi for the United Kingdom! 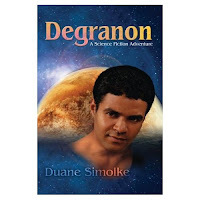 Degranon is gay-themed science fiction. The paperback is currently charting as follows at Amazon U.K. Meanwhile, here in the U.S., The Acorn Stories (West Texas Fiction) is still holding at Number # 1 in Amazon Kindle’s gay fiction chart. The Acorn Stories (West Texas Fiction) is Number # 1 yet again! This week, DVD’s, Green Arrow, and More Genre TV. Fans of Edge of Seventeen might enjoy The Curiosity of Chance. It uses a safe formula of teen angst plus eighties music but still manages to entertain. Sassy drag queens help too. Tad Hilgenbrinck (American Pie Presents: Band Camp, Lost Boys: The Tribe) charms as Chance. Brett Chukerman of Eating Out 2 also stars in this fun coming out film. Speaking of Lost Boys: The Tribe, that film and Stargate Continuum both arrived on DVD today. Another direct-to-DVD sequel, Starship Troopers 3: Marauder, arrives August 5. I look forward to seeing all three movies—especially Stargate Continuum—and look forward to hearing what other viewers think of them. I can guess now that I’ll love Stargate, but I hope the other two might turn into pleasant surprises. SciFi Wire has reported an update to rumors about a possible Green Arrow movie: Warner Aiming At Super Max? Meanwhile, on the CW, Justin Hartley will return as Green Arrow in season eight of Smallville. See the fan site JustinHartely.Net for more about the actor’s upcoming appearances. The Sword of Truth TV series will begin in November with a two-hour pilot; the series already underwent a name change from Wizard’s First Rule (the name of the first novel in Terry Goodkind’s fantasy series) to Legend of the Seeker. Eureka returns to the SciFi Channel tonight, and the episode will feature a sneak peak at the new Amanda Tapping/Robin Dunne series Sanctuary. SciFi ordered a full season of Eureka this time. However, as with Battlestar Galactica, much of the season won’t air until early 2009. Friday on SciFi, watch for the 90-minute season finale of Doctor Who, followed by a new episode of Stargate Atlantis. This week, Witchblade, Gay DVD’s, Gay Love. SciFi Wire reports that Michael Rymer will direct Witchblade. The new film version of the comic isn’t related to TNT’s Witchblade TV series. Rymer, a director and producer for Battlestar Galactica, recently completed the SciFi Channel pilot Revolution. My quick thoughts on some new or recent DVD’s follow. Watch here for a link to my detailed review of In The Closet. Long films, short review—short film, long review; it’s almost like irony. 2 Minutes Later, a new film from Robert Gaston, feels like a pilot for a TV series, though definitely not commercial TV. While this suspense movie only becomes truly suspenseful in a few scenes, it provides plenty of humor and eye candy. In the Blood, another gay thriller, goes for creepiness, and finds it. This movie relies heavily on atmosphere and violent imagery, crossing into the realm of horror, or supernatural thriller. It involves a gay man who wants to protect his sister from a campus killer. I enjoyed In the Blood, but I probably wouldn’t watch it repeatedly, after learning the plot twists. Back Soon, a film I mentioned here recently, also involves supernatural elements. Gay-film fave Matthew Montgomery (Socket) plays a man whose life intertwines with a stranger’s life, at a time of change. This is a nice, quiet, love story, with a little bit of action and a lot of heart. Montgomery also recently appeared in the gay romantic comedy Long-Term Relationship. The comedy doesn’t always work, but the romance definitely makes Long-Term Relationship worth the short-term commitment of watching. Some upcoming DVD releases: I Dreamt Under the Water, Oh Happy Day, Torchwood: The Complete Second Season, Derek, and Will & Grace: The Complete Series Set. Essays and poems from Holding Me Together continue to garner attention in the blogosphere. Mc Dull and Darby’s blog looks at the meaning of the gay love poem Home. This week, Hellboy, Genre Writing, Worried, Judas Kiss. According to the Associated Press, Hellboy II: The Golden Army took in about $35.9 million during its first weekend, making it the top movie in a genre-heavy box office. I haven’t seen it yet, but I love the original! Advance reviews for The Dark Knight, however, make it sound like the ultimate summer movie for 2008. I just read about a new project for writers of gay-themed scifi, fantasy, and horror, Collective Fallout Magazine. That blog includes details and submission guidelines. I’m currently writing Worried: A Science Fiction Adventure, a stand-alone sequel to my gay-themed novel Degranon: A Science Fiction Adventure. A rough draft of Worried Chapter 1 appears at WEbook. Brent Corrigan has joined the cast of Judas Kiss, an upcoming gay-themed film, directed by his In The Closet co-star J. T. Tepnapa. The site includes production notes, as well as an on-line comic based on the film. Duane Simolke co-wrote The Acorn Gathering and The Return of Innocence: A Fantasy Adventure. This week, scifi TV, YouTube, Kindle, and Star Trek. Stargate Atlantis begins its fifth season this Friday on SciFi, after Doctor Who. Atlantis ended its fourth season with much of the cast apparently dead. Actually, Amanda Tapping really left as a series regular, because of her role on the upcoming series Sanctuary. But the cliffhanger last season should lead into another exciting season of Atlantis! Hopefully, the rampant cast changes (past, present, and apparently future) won’t hinder the series. Of course, cast changes also plague Doctor Who. Rose is back but not really in our universe; Jack and Martha keep stopping by then leaving; the Doctor now has a daughter but thinks she’s dead (but he no longer thinks Jack is dead); and it sounds like Donna (Catherine Tate) might soon meet her doom. Somehow, though, the show still remains engaging. Doctor Who fans might enjoy Catherine Tate’s zany role in the new British import Love and Other Disasters. Brittany Murphy, Matthew Rhys (the gay brother of Brothers and Sisters), and Santiago Carbrera (the prophetic painter of Heroes) also appear in that enjoyable, gay-friendly comedy. Speaking of Brits, the British scifi series Primeval premieres Saturday, August 9, on BBC America. The show, which I mentioned here before, involves tears in the fabric of time, bringing humans into the past and dinosaurs into the present. I’m still looking forward to seeing it. Eureka begins its third season on July 29. Cast members say to look for a return to the lighter tone of the first season. My video Gay Pride has now surpassed 3000 views at YouTube. Gay Love Poem is currently at 5,762 views. My Kindle e-books Degranon: A Gay-Themed Science Fiction Adventure and The Acorn Stories both reached the top five in Kindle Gay Fiction this week. The interactive attraction Star Trek: The Experience will close after September 1. Interactive rides, a museum, a store, Quark’s Bar and Restaurant, and the occasional wedding attracted Trekkies and Trekkers to the Las Vegas Hilton for the past eleven years. Oh well, there’s still that new Star Trek movie coming up. Degranon: A Gay-Themed Science Fiction Adventure (Kindle Version) is currently charting as follows. Kindle charts update constantly. 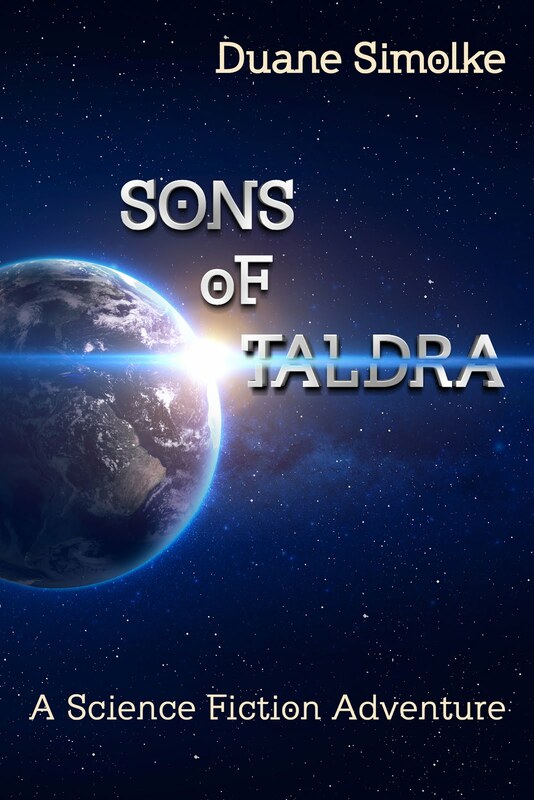 Degranon is the first book in the Sons of Taldra, a series of novels about the twin gay sons of a brilliant scientist. The Acorn Stories is #1 again! After my earlier post today, the Kindle edition of The Acorn Stories, winner of a Pride in the Arts Award, went up the Amazon charts as follows. Those charts update constantly. In the category Gay>Short Stories, the only book passing The Acorn Stories is once again Brokeback Mountain. 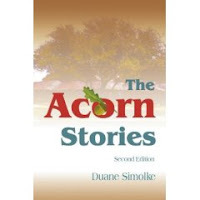 Read reviews of The Acorn Stories at Kirkus, Amazon.Com, bn.com (2nd edition reviews), and bn.com (1st edition). The Acorn Stories, an interconnected collection of West Texas tales, also led to a spin-off, The Acorn Gathering. According to a description with Logo’s online posting of the video, “In the future, Ari Gold rules the world with an iron, club-banging fist. From his new album, Transport Systems, Ari's got the masses shaking their animated booties.” Visit The Click List: Ultimate Queer Videos to see all the videos, which Logo fans chose. Science Fiction for Gay Readers. The Stargate site Gateworld has posted the tribute Don S. Davis: 1942-2008. The article, which chronicles the actor’s career, reveals that Davis had left his weekly role of General Hammond on Stargate SG-1 because of health problems. Davis passed away June 29, 2008. It took the impressive Beau Bridges to create a character who could fill the void Davis left on SG-1. Still, Stargate fans will always remember General Hammond and the actor who played him. Davis was 65. One of his final performances will appear in the movie Stargate Continuum. Gateworld also includes an interesting teaser, Wright: Stargate Universe news may be close. Stargate Universe, if it happens, would become the third live action Stargate TV series. The Acorn Stories is #1! The eBook The Acorn Stories (Acorn, Texas) is currently #1 in Kindle’s Gay Fiction chart. Kindle’s charts update hourly. The eBook The Return of Innocence: A Fantasy Adventure is currently #11 in Kindle’s Gay Fiction chart. Kindle’s charts update hourly. Welcome back to the Acorn Universe! And speaking of welcome back, Moonlight and Supernatural both return from a strike-induced hiatus this week, with new thrills. Two trailers for summer scifi follow: Stargate Continuum and Journey to the Center of the Earth 3D. Though demonic superhero Hellboy won’t return to the screen for Hellboy II: The Golden Army until July 11, the film’s director is already weighing in on a third installment to the comic book adaptation. Del Toro: Hellboy III Would Be It. With plans for the Justice League movie and the X-Men spin-offs, it shouldn’t surprise comic fans to learn of a possible Avengers movie: Hulk Sets Up Avengers. Socket has received a lot of gay media coverage lately. It’s a fun scifi/horror flick with gay characters. Turning to pages, Blind Fall, the new thriller by Christopher Rice, doesn’t include supernatural elements, but it explores tensions between the military and the gay community in San Diego. It’s actually the first novel I’ve read by Christopher Rice, and definitely worth putting on your to-read list. 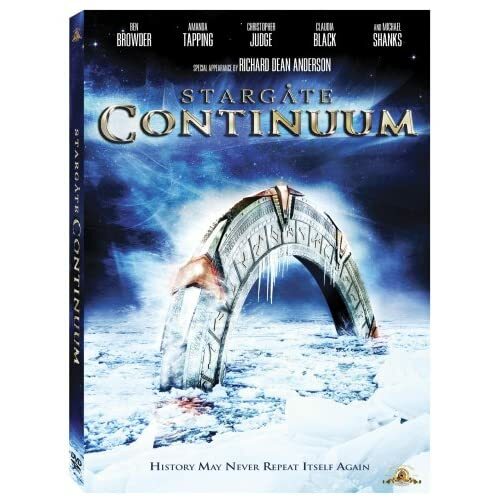 Stargate Continuum, the second Stargate SG-1 DVD movie, arrives on DVD July 29, 2008. If it’s anywhere near as good as Stargate: The Ark of Truth, I’ll probably love it! And speaking of TV series becoming movie series, the second X-Files movie is titled The X-Files: I Want to Believe, in homage to the poster in Fox Mulder’s office. Author Mark Kendrick is wrapping up work on his next gay-themed scifi novel, The Rylerran Gateway. He plans to release it in August 2008. I interviewed Mark in 2002, for StoneWall Society. Visit that site to read the interview. He talked back then about plans for gay sf novels, back before the publication of his gay time travel romance, Stealing Some Time. May 17 is the Day Without Homophobia! Find more resources on my Reactions to Homophobia page. Arnold Vosloo and Steve Bacic, two actors familiar to scifi fans, star in the SciFi Channel’s original movie Odysseus: Voyage to the Underworld. It premieres April 12. Yes, it died twice, but that never means the absolute end, at least not in science fiction. Jericho Seeks Home on Comcast. Oh, and if none of that sounds interesting, then…Radcliffe to Make B'way Debut in Fall. An earlier story, about the London production, follows: Photo Flash: Daniel Radcliffe Stars in West End's EQUUS. It’s a disturbing play, but I’ve never seen it with Radcliffe. To read about movies, please visit my DVD review section at the gay site ThisWeekInTexas. Holding Me Together is #1! Degranon: A Science Fiction Adventure Kindle Edition is currently # 7 in Kindle Gay Fiction, after recently reaching the second place spot. In paperback, Amazon is offering The Acorn Gathering: Writers Uniting Against Cancer at a special price, for a limited time.